Real estate opportunities are in each relationship we have. Whether in a first encounter with a consumer or with a long time friend, all people need a place to live. Not only do all people need a place to live, many people invest in real estate. Some invest in residential rental properties, while others purchase residential properties to rehab and then sell for profit. Both of these residential transactions, in addition to the lease opportunity, may include at least one real estate agent. This limited approach in real estate does not include any commercial transactions or development though each is attractive income generation options. The word used to find people to work with is called prospecting. It is how real estate agents come into contact with consumers who have an interest in buying, selling, or leasing real estate. The goal in prospecting is to find as many consumers as possible who are interested in transacting real estate. Reaching out to friends, acquaintances, neighbors, and others is like filling a funnel. The more prospects that are placed in the funnel through prospecting, the more likely a steady stream of income flows out the bottom of the funnel. The income level is dependent upon the volume of the flow and usually the dollar amount of the transaction. Assuming though a constant dollar amount of the transactions, the only way to increase income then is by increasing the number of transaction which is dependent on the amount of prospects reached. Reaching more people to make more money sounds simple. Yet many real estate agents fail at an alarmingly high rate. To have success, real estate agents need to have a plan about how to make contact with consumers and then follow their plan. 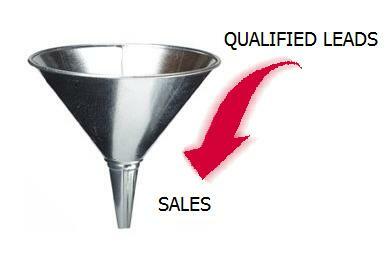 There are many ways to reach consumers to fill an agent's prospecting funnel. When creating their plan, agents can choose their prospecting methods by determining which are their favorites and their own strengths.